9th April 2017 – Four PACE athletes were in track action over the weekend and they provided a clean sweep of victories. At the Sun Classic Invitational in Arizona, Olympic finalist Bralon Taplin (GRN) brought the fine form he showed indoors to the outdoors with a comfortable victory over 400m in 45.08 seconds. Schillonie Calvert-Powell (JAM) won the 100m in 11.48 seconds and after a blistering relay leg last week Shamier Little (USA) showed that putting barriers in her way was not going to slow her down either as she won the 400m hurdles in 56.83 seconds. 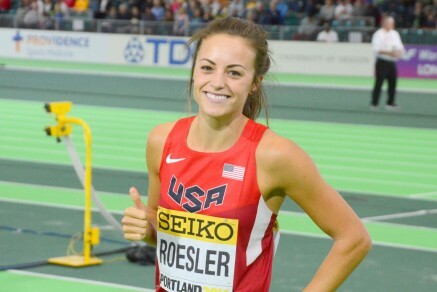 At the Spec Towns Invite in Texas, Laura Roesler (USA) made a very welcome and high quality return to racing, winning the 800m in 2:00.69. On the roads Micah Kogo (KEN) was the best placed of the PACE athletes at the Paris Marathon finishing in tenth position.